ATLAS is one of the two general-purpose detectors at the CERN Large Hadron Collider, and involves several thousand researchers including over a hundred scientists at Canadian universities and at TRIUMF. TRIUMF has been central to Canada's involvement in the ATLAS experiment at the CERN Large Hadron Collider (LHC) since the early 1990s. Many components of the LHC accelerator and its injection complex were built at TRIUMF or prototyped at TRIUMF and built by Canadian industries. The ATLAS Hadronic Endcap Calorimeters, Forward Calorimeters, Endcap Cryostat Feedthroughs, and radiation-hard electronics for instrumenting the liquid argon calorimeters were all designed and / or built at TRIUMF or by TRIUMF personnel. TRIUMF hosts one of the ten Tier 1 Computing Centres around the world which process the petabytes of data taken every year by the ATLAS detector and store and distribute them for analysis. The TRIUMF ATLAS group consists of Scientists based at the lab, Scientists and Faculty Members based at various Canadian universities, post-doctoral research associates based at TRIUMF and at CERN, and graduate students from various universities who are supervised by TRIUMF scientists. We host a number of co-op and summer students every year. The analysis interests of the group vary; there is a broad expertise across many detector subsystems. All of these are brought together in analyses on topics ranging from studies of the Higgs boson to searches Beyond the Standard Model. 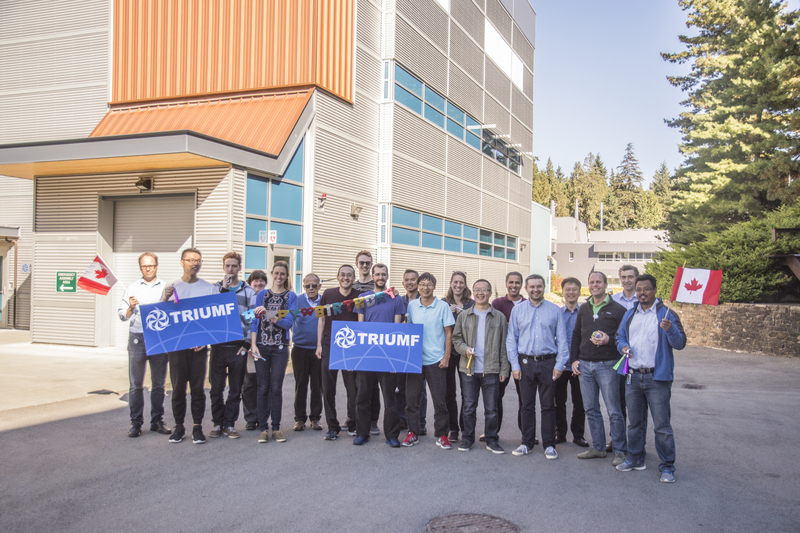 If you are interested in pursuing graduate studies at TRIUMF on ATLAS analysis or detector upgrade development, and would like to be based at TRIUMF, we are always happy to hear from you!